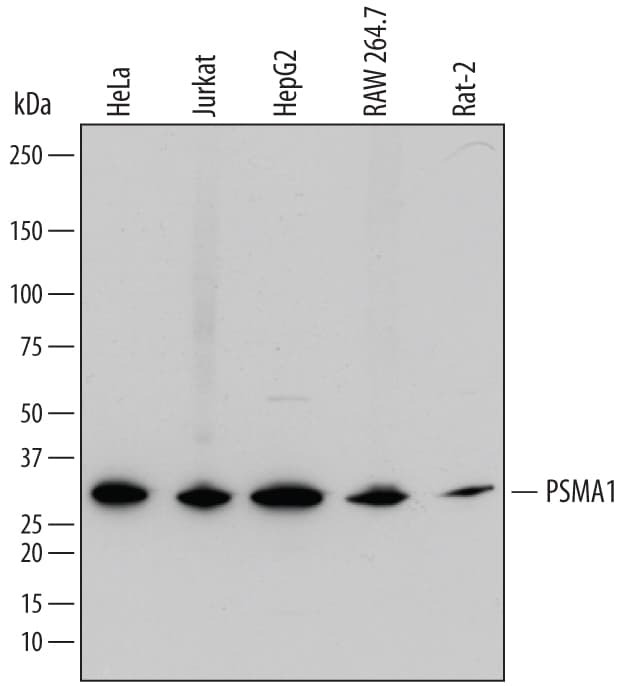 Detects human Pepsinogen A5/PGA5 in direct ELISAs and Western blots. 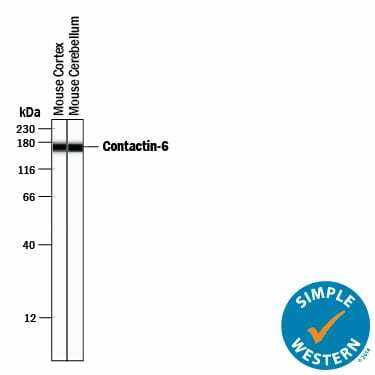 PGA5 by Western Blot. Western blot shows lysates of human stomach tissue. 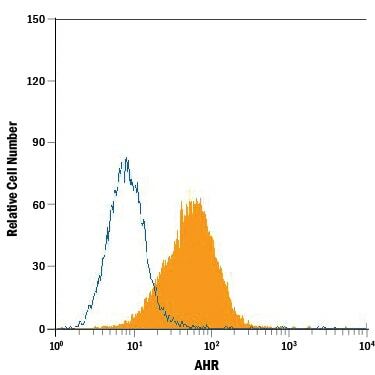 PVDF membrane was probed with 0.1 µg/mL of Sheep Anti-Human Pepsinogen A5/PGA5 Antigen Affinity-purified Polyclonal Antibody (Catalog # AF8457) followed by HRP-conjugated Anti-Sheep IgG Secondary Antibody (Catalog # HAF016). 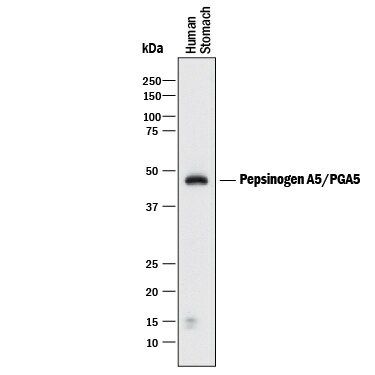 A specific band was detected for Pepsinogen A5/PGA5 at approximately 45 kDa (as indicated). 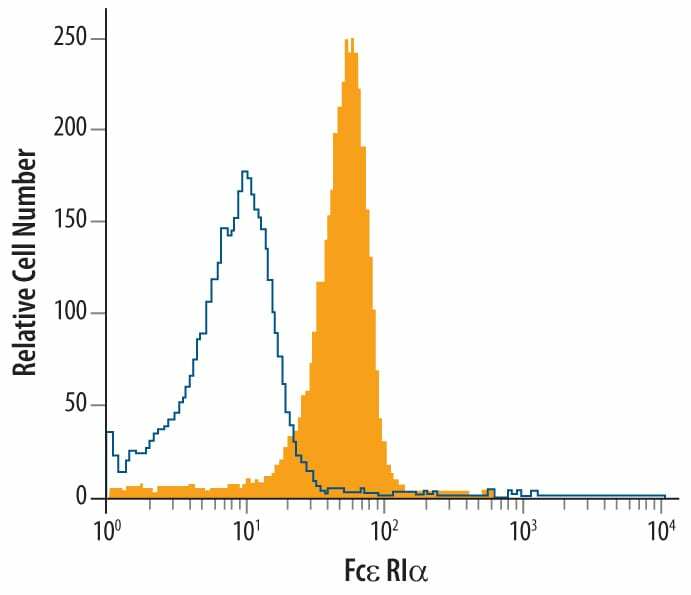 This experiment was conducted under reducing conditions and using Immunoblot Buffer Group 1. Pepsins are aspartic proteases that are synthesized in the gastric mucosa and secreted into the stomach. They are released as zymogens called pepsinogens and then converted to active pepsins by the acidic pH of gastric juices (1). PGA-3, PGA-4, and PGA-5 are isozymogens of human Pepsinogen A, which differ in amino acid sequence by 2-4 residues (2). This recombinant human Pepsinogen A corresponds to PGA-4. 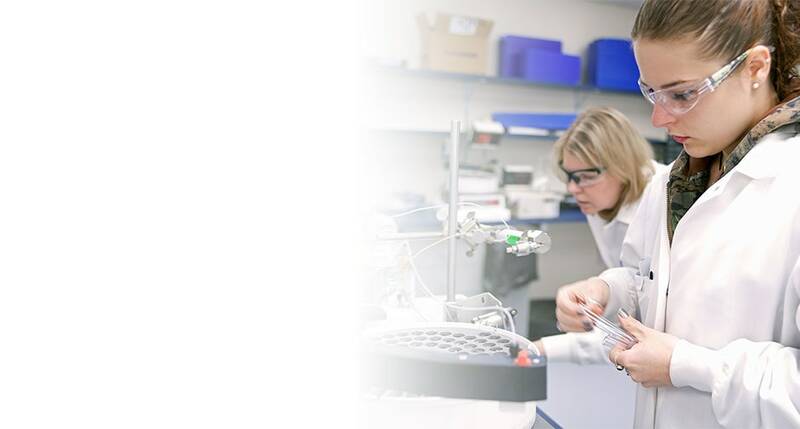 Pepsins have optimal activity under conditions of acidic pH and are inhibited by pepstatin. Pepsin A has broad substrate specificity, but preferentially cleaves peptide bonds involving aromatic and aliphatic amino acids. Athauda, S.B. et al. (1989) J. Biochem. 106:920. Zwiers, A. et al. (1994) Clin. Nephrol. 41:153. There are currently no reviews for this product. 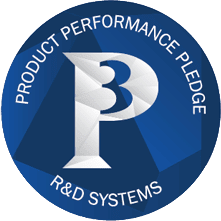 Be the first to review Human Pepsinogen A5/PGA5 Antibody and earn rewards! 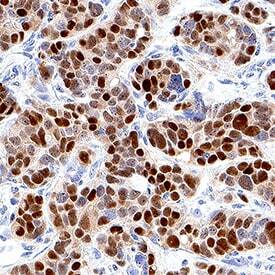 Have you used Human Pepsinogen A5/PGA5 Antibody?